Lexington, Ky. (January 22, 2019) – The rich heritage of Lexington’s first hospital will be front and center for a newly rebranded health system. CHI Saint Joseph Health will replace the KentuckyOne Health name as part of a new vision and strategic plan to focus operations in central and eastern Kentucky. The new name also renews the health system’s commitment to the caring and innovative legacy of the Sisters of Charity of Nazareth. Facilities that make up CHI Saint Joseph Health include Saint Joseph Hospital, Saint Joseph East, Saint Joseph Berea, Saint Joseph Jessamine, Saint Joseph London, Saint Joseph Mount Sterling, Flaget Memorial Hospital in Bardstown, Women’s Hospital at Saint Joseph East, Continuing Care Hospital, as well as CHI Saint Joseph Health Partners Clinically Integrated Network and CHI Saint Joseph Medical Group provider practices in central and eastern Kentucky. While these facilities are part of CHI Saint Joseph Health, they will retain their individual names. 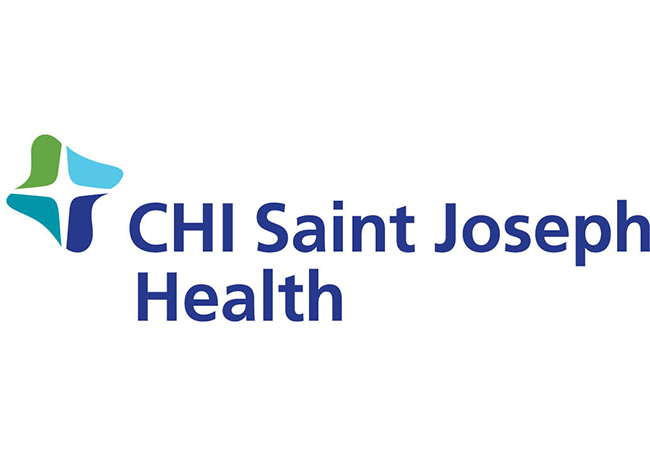 The new CHI Saint Joseph Health logo includes a star and cross created by the coming together of four distinct shapes, representing CHI Saint Joseph Health’s ministry and mission. The shapes’ colors represent trust, confidence, integrity and energy. The indispensable role each unique shape plays in forming the star and cross speak to the strength CHI Saint Joseph Health derives from its diversity, which also contributes to the vibrancy of the communities the health system serves. The formation of the star and cross by the shapes signifies the integration of CHI Saint Joseph Health into the Catholic Health Initiatives family, and the way one shape flows into the next evokes continuous transformation in pursuit of improving health. In 2017, KentuckyOne Health announced that it would transition ownership of its Louisville operations, to focus on operations in central and eastern Kentucky. In doing so, the organization will be better positioned to continue focusing on quality patient care, continue to invest in opportunities for growth and improve the overall health and wellness of individuals across Kentucky. KentuckyOne Health facilities in the Louisville region remain in negotiations for purchase, and at this time retain the KentuckyOne Health name. These facilities include Jewish Hospital, Frazier Rehab Institute, Sts. Mary & Elizabeth Hospital, Medical Center Jewish East, Medical Center Jewish South, Medical Center Jewish Southwest, Medical Center Jewish Northeast, Jewish Hospital Shelbyville, and KentuckyOne Health Medical Group provider practices in Louisville. CHI Saint Joseph Health, part of Catholic Health Initiatives, is one of the largest and most comprehensive health systems in the Commonwealth of Kentucky with 135 locations in 20 counties, including hospitals, physician groups, clinics, primary care centers, specialty institutes and home health agencies. In total, the health system serves patients in 35 counties statewide. CHI Saint Joseph Health is dedicated to building healthier communities by elevating patient care through an integrated physical and behavioral health delivery system. CHI Saint Joseph Health embodies a strong mission and faith-based heritage and works through local partnerships to expand access to care in the communities it serves. Saint Joseph Hospital is a 433-bed hospital located in Lexington, KY. Established in 1877 by the Sisters of Charity of Nazareth in Kentucky, the facility serves residents of central and eastern Kentucky and is a nationally recognized tertiary medical center. Saint Joseph Hospital is Lexington’s first hospital. The hospital’s original mission was to provide compassionate care to the poor and underserved – a tradition still carried out today. Saint Joseph East is a 217-bed full service community hospital located in the southeastern section of Lexington, KY. Established in 1983, the facility serves residents of central and eastern Kentucky. At Saint Joseph East, ambulatory surgery, 24-hour emergency care and women’s health services are supported through a vast array of inpatient and outpatient programs.